From an upscale home in the suburbs of Atlanta to a cottage in a South Georgia State Park, solar technologies are being integrated into buildings across the state. 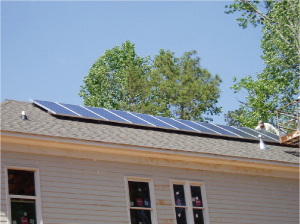 Southface, with support from Georgia Environmental Facilities Authority, the U.S. Department of Energy Zero Energy Home and Building Programs, assisted in the construction of two Solar Energy Homes. These homes featured advanced solar energy technology, high performance thermal envelope, energy efficient heating and cooling systems and appliances, and green building products. 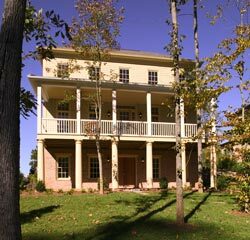 is a three-story, four-bedroom single family home with beautiful double front porches. The home serves as a model encouraging potential homebuyers to include solar and other resource efficient technologies into their own homes. The home is 45 percent more energy efficient and will cost approximately $842 less to run each year than a typical new home of the same size. Below is a list of the home's green features. 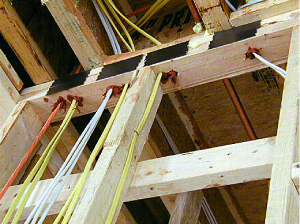 A leaky home causes high energy costs, poor comfort, and promotes entry of moisture and contaminants. Unfortunately many sites for air leakage are hidden from view. The best strategy in both new and existing homes is to reduce air leakage as much as possible and to provide controlled ventilation with fresh outdoor air. Materials and labor for air sealing the Westbrook Solar EarthCraft House cost approximately $450. The Westbrook Solar EarthCraft House features a mix of insulation types to minimize heat transfer through the walls, ceilings and floors. 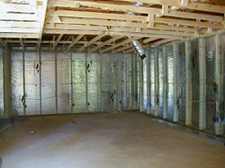 Insulation upgrades to the home cost approximately $1,000 for labor and materials. 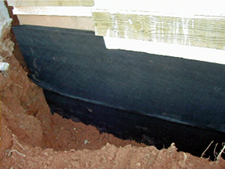 Drainage matt installed along the exterior of the below grade foundation walls helps maintain an airspace for proper drainage. 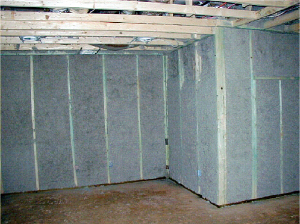 Floor to ceiling foundation wall insulation prevents condensation and maintains a more constant temperature throughout the basement. 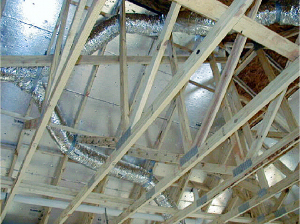 Ventilation is important to exhaust moisture and odors from baths and kitchens year-round. On average 41% of a home's energy usage can go to conditioning (heating and cooling) the house. Determining the correct size of heating and cooling equipment is key to achieving comfortable interior conditions -- temperature and humidity -- and saving on the cost to buy and operate equipment. 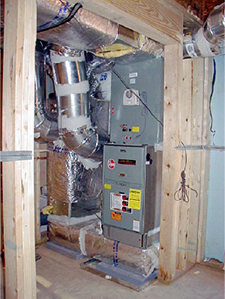 Estimated cost for all HVAC improvements is $2,500. Cooling: 5 tons, 14.25 SEER (the higher the SEER, the more efficient the unit is). Electronic air filter reusable for life. 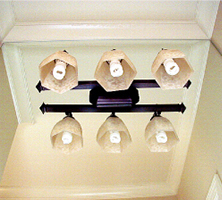 Lighting and appliances account for more than 45% of all energy bills in a home. Every $1 spent on electricity for an incandescent bulb, provides 10¢ worth of light and 90¢ worth of heat. The estimated upgrade cost for all lighting improvements in the Westbrook Solar EarthCraft House is $300. No additional costs are added for using energy efficient appliances since they are widely available. Atlanta, like many communities, is facing a water crisis. Water efficient fixtures save money, provide high performance and protect the environment. Dual flush toilets offer the option of using a 0.8-gallon flush or a 1.6-gallon flush depending on the amount of water needed. Water heating is typically the third highest energy cost in a home--16% of total energy cost on average. Selecting the appropriate fuel and water heater type, using efficient system design, and reducing hot water consumption can manage water heating energy costs. 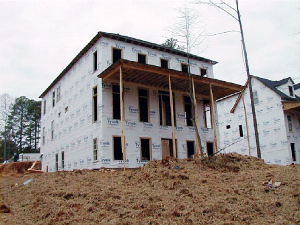 The Georgia Energy Code encourages that windows and glass doors used have a solar heat gain coefficient (SHGC) less than 0.4 and a U-factor of 0.65 or less. The SHGC is a measure of the amount of solar heat (heat radiating from the sun) that an object blocks. 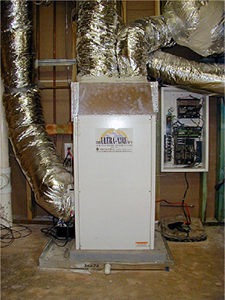 U-factor measures the amount of heat conducted through a material. U-factor is the inverse of the R-value. The lower the U-factor, or the higher the R-value, the more efficient the window. Photovoltaic (PV) systems silently generate electricity from free sunlight. The Westbrook Solar EarthCraft House demonstrates how PV systems can offset the amount of electric power needed from conventional power plants to improve air quality and reliability. A 2 kilowatt (kW) grid connected PV system is expected to supply 30% of the home's electricity needs and offset carbon dioxide emissions by 9,039 pounds each year.